New Mexico’s best criminal law team is here for you. Attention to detail is a top priority at the Law Office of W. Shane Jennings. Choose a highly reviewed legal team to back your case. Our team is made up of local lawyers who understand what you’re going through. Don’t just take our word for it, check out our five-star reviews! Contact our law firm today for a free consultation. We’re available 24/7. We are proud to be a law firm who cares about our clients. When it comes to criminal charges, it’s necessary to choose a legal team with tangible experience in the field. W. Shane Jennings has thousands of hours of courtroom experience. 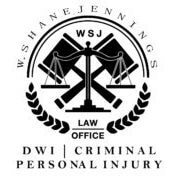 The Law Office of W. Shane Jennings has been serving the New Mexico area since 2016. Experience, along with great intuition and meticulous attention to detail, makes W. Shane Jennings and his legal team the best option for those in need of criminal defense in New Mexico. In His Own Words: Why Is W. Shane Jennings an Attorney? Because I believe that people should have a fair outcome. The government already has the upper hand. The government outspends us, out staffs us, and would just outright blow over your rights if not for the defense attorney. To attempt to even the field, I became an attorney. People make mistakes. Many alternative lifestyles and minority beliefs are criminalized. For people from different cultures, everyday behavior that is legal in their home country can have criminal consequences in the United States. Sometimes, people just get caught up in a bad place in life. For whatever reason my clients come to me, I want to give them a fighting chance at a second chance, or third chance, or fourth – however many chances it takes to get it right because every person can change their life or find their place if given the opportunity. I am a lawyer whose promise to you is that I will defend you as if you were my own family because I care about you. My word is my bond. I will keep your secrets. I will look at all of the things that an accuser has said about you and take them on. I will defend you, my client, so you don’t have to know what to say and when to say it. I will use my skill and care to fight for you. I will not let the other side rest until justice has been done. I’m a trial lawyer, especially ready for criminal law. I, W. Shane Jennings, attorney at law, am ready to guide and advise you on the law every step of the way. You will never be alone. Contact The Law Office of W. Shane Jennings, Today! If you’re in the New Mexico area and you require legal assistance, the Law Office of W. Shane Jennings can help. Give us a call today for a free consultation. Our lines are available 24/7. When you call our office, you will be able to speak with your lawyer in order to discuss your case’s path. Don’t let another moment go by, contact the Law Office of W. Shane Jennings, today.